I picked up this nail varnish, probably a couple of months ago now, but I haven’t blogged about it yet because unfortunately it’s not one of my favourites. 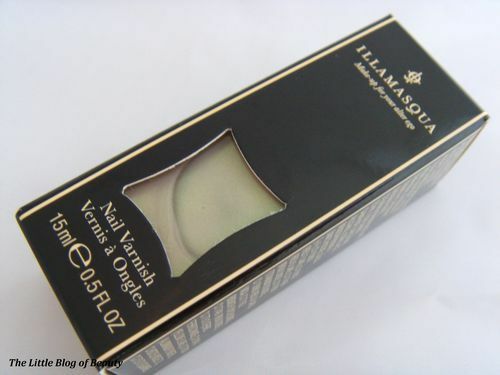 There’s nothing wrong with the actual nail varnish, all of Illamasqua’s varnishes are amazing quality, it’s just I’m very picky about the colours that I like and wear. Hemlock is a pale opal shade with a green iridescent shimmer. I personally think Hemlock is a perfect name for this shade as for some reason it kind of makes me think of wizards, witches and spells (and I’m not quite sure why!). This is a very pale shade that is not very obvious but then in the right light the light catches on the green shimmer. You could wear this on it’s own but I thought I would experiment applying this over the top of black and white nail varnishes. Apologies that I apparently didn’t do a very good job of painting this over the black nail varnish! I quite often paint a nail on my nail wheel and then tilt it and discover I haven’t applied the varnish fully around the edges. The effect of Hemlock on it’s own and then over white is quite similar; applying it over white seems to make it appear ‘darker’. However you get quite a different effect applying this over black. Applying it this way makes the varnish stand out much more and makes the green shimmer much more prominent. This would probably be a pretty good Halloween look. I think the reason I’m not keen on this shade is because of the green shimmer as I’m not keen at all with green on my nails. I do actually have a 17 nail varnish that is very similar to this that contains a blue shimmer through it instead of green. I used to use this a lot a few years ago but I’m not sure if that particular shade is actually available anymore. I might check this out and if it is I’ll do a dupe post. 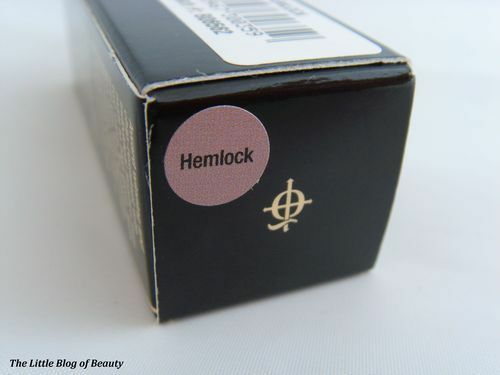 Hemlock costs £14.50 and is available from the Illamasqua website.